The Indiana Pacers prefer a smaller but faster line-up this season and it has worked wonders so far. Led by Paul George, the Pacers’ “smallball” defeated the bigger Los Angeles Clippers on Wednesday night winning on the road, 103-91. George finished with a game-high 31 points and added 10 rebounds to lead Indiana to their sixth victory in a row. After starting the season at 0-3, the Pacers are 12-2 in their last 14 games. The Clippers, who were playing without point guard Chris Paul, had a three-game winning streak snapped and went down to 10-9 for the season. The Pacers’ bench came up big in this one as the trio of Rodney Stuckey (18 points), Jordan Hill (13 points) and C.J. Miles (10 points) all finished in double-figure scoring. 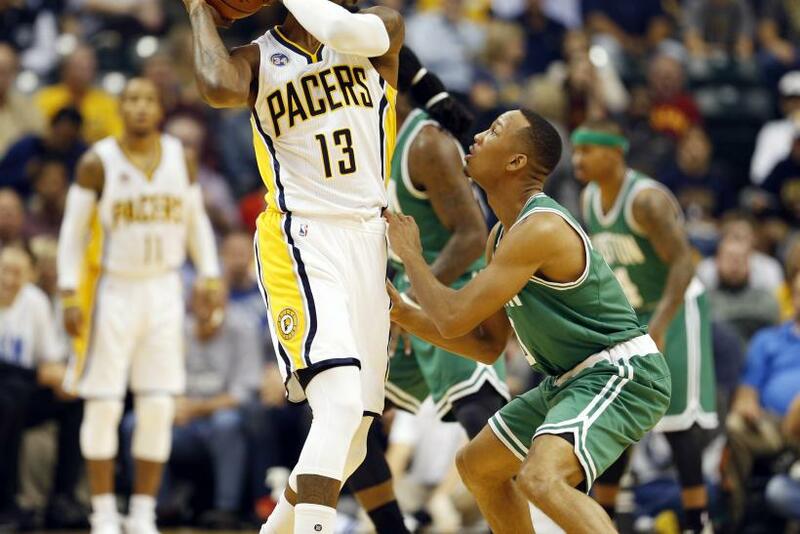 The game was close throughout the first three quarters with the Pacers leading 72-69. A quick 14-1 blast to start the fourth quarter opened up the game and Indiana cruised to the victory. Former Pacer Lance Stephenson had his best scoring game of the year with 19 points off the bench while Blake Griffin was largely contained shooting 6-of-18 from the floor for 19 points. DeAndre Jordan had 15 rebounds but settled for just 2 points as he missed all of his four shots from the field and went 2-of-8 from the free throw line. The Pacers will try to extend their winning streak with road games versus the Portland Trail Blazers and Utah Jazz in their next two games. The Clippers will host the Orlando Magic on Saturday.